When you hear the term ‘karting’ you may think of children at a fair or amusement park. For others, however, karting is a sport that is practiced and undergone by those of all ages, and quite often taken rather seriously. It is classed as a form of motorsport and utilizes vehicles that are small and open and are comprised of four wheels. They are referred to as go-cart or simply karts. One of the interesting factors about karting is that this became the starting point for many of those that went on to become more involved in motorsports. While many may think that the karts are not able to gain much speed they are very surprised to learn that they can. In some cases, they can get up to 160 mph when karting is being based on the professional level. For those that are into karting on a private or personal level simply for enjoyment, the speeds are much lower. Over the years it has been a past time for some to go and build their own go-cart right in their home garages. As karting became more prominent as a sport, they became more commercialized and the vehicles were manufactured on a business level. This took place in 1958 and then in 1959 a company came about to begin producing the first engine specifically designed for the karts. This was the McCulloch MC-10. 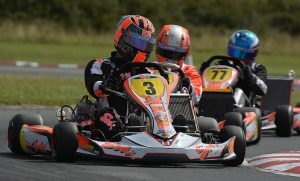 Going beyond the recreational point of view of for the UK, karting takes one into the kart racing. One of the advantages of the kart racing is that it is easy to get into and almost anyone is welcome to participate in races at amateur levels. Those as young as eight years old can participate if they choose to do so. There are different variations of kart racing that can be enjoyed.